I am the first to admit I was hesitant. As a clinician in New York City with a private practice and more than a decade of experience, I was less than inspired to do a clinical practicum—offering my services for free, no less—as part of my doctoral program at Saybrook University. But now that I’m on the other side of the practicum experience, I understand the importance of this great Saybrook tradition and the value it brings as a humanistic psychologist. 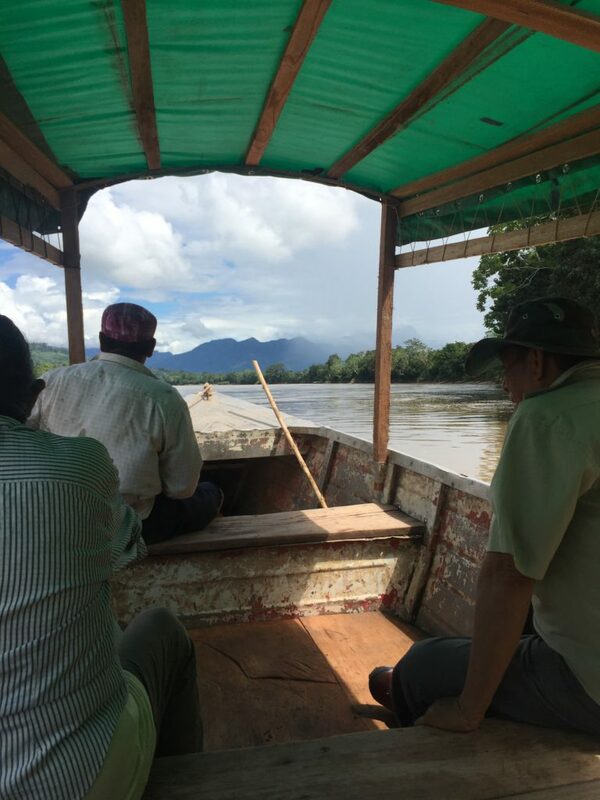 What I learned in those two weeks I spent at The Sachamama Center for Biocultural Regeneration in the Amazonian town of Lamas, Peru, and the surrounding area will stay with me for a lifetime, both personally and professionally. From the second I stepped into the facility and met my site supervisor, anthropologist Dr. Frederique Apfell-Marglin, I knew I was about to see and experience things I had never been exposed to before and probably would never have been exposed to without this practicum. 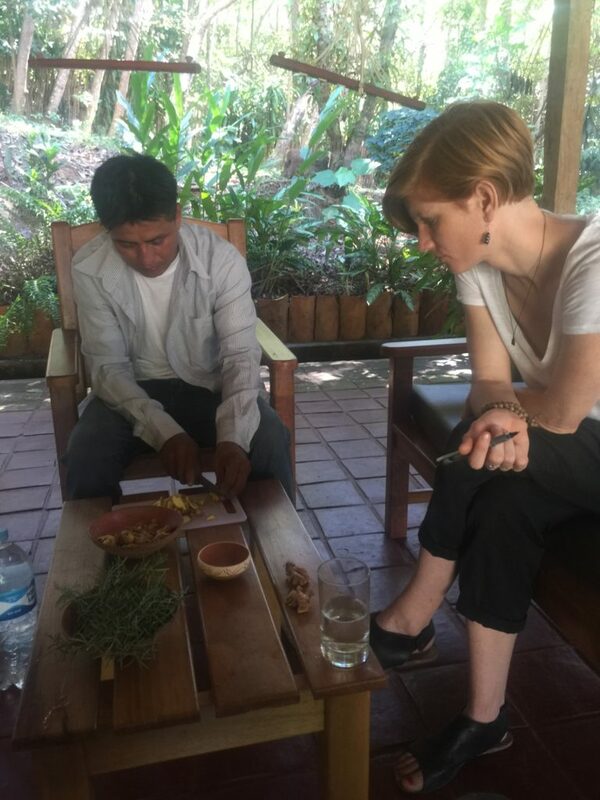 My journey started with a local shaman healer or curandero named Carlos, who led me through a holistic blend of healing techniques that help connect individuals to mind, body and spirit—a Saybrook value that I didn’t fully understand until I experienced it for myself. That heightened awareness of the mind-body connection set the tone, and started me down a path that continued deeper into the jungle on a boat down the Huayaga River where we met another curandero, Aquilino Chujandama, and his son, Henry, a “plant master” who demonstrated the importance of sacred ritual and ceremony in healing. These theories and indigenous traditions were put into practice at our final stop, the Takiwasi Center in the small town of Tarapoto, Peru. Blending traditional Amazonian medicine and conventional psychotherapy, Takiwasi healers working under thatched roofs in the jungle see as much success in the treatment of addiction as medical professionals in some of the modern world’s most prestigious health care facilities. So there I was, walking deep in the jungle, being guided by a “plant master” and expert in the healing power many of these plant-based tonics and ceremonies, when I had this realization. Not because someone told me, but because I was living it. Of course I was aware that certain plants and minerals and vitamins were essential to good health and wellness, but to actually make the tonics—to cut fresh ginger and mix the ingredients in the heart of the jungle—opened my eyes to what other civilizations have known for centuries: As humans in harmony with the Earth, the plants around us are our most natural healers. In fact, many of our most common physical ailments, from upset stomach to stress, can be healed with the power of plants. In addition to experiencing the beauty of ancient plant ceremonies, I was able to enjoy a powerful energy healing session that utilized tobacco, breath work, and Ikaros, the healing “songs” of the plants. Henry, the “plant master,” not only taught me about the uses of each plant, he instilled the importance of ceremony and ritual when ingesting these plants. Plants have cosmic energy. Harnessing that energy results in healing and a state of wellbeing. Beyond the healing power of plants, I also became keenly aware of the importance of connecting to nature. It’s something we talk about a lot at Saybrook. We speak of mindfulness, we speak of energy healing, but often we forget the most basic elements of nature. Spending time in a natural spring reminded me of the restorative benefits of being immersed in a place filled with lush, green plants, fresh air, and a culture that truly respects the land. There was a moment after a master plant ceremony when I was deep in the jungle, and we were being asked to clear and feel our energetic fields. The shaman asked for permission to enter this place and if he didn’t receive a “yes” from the spirit of the forest, he wouldn’t go in. Seeing that and living that moment that really shifted the way I experience nature now. In the U.S. we are just beginning to unlock the potential of integrative health approaches. The way in which the practitioners and the shamans work with mind-body medicine in the Peruvian Amazon is all-encompassing. There is no separation between the emotional, physical, and spiritual. Everything is connected. In observing these indigenous healers and learning more about their beliefs and practice, I became aware of how important it is to have a healthy relationship with your own spiritual self. This means being mindful of what you eat but also what you expose yourself to. Clearing negative energy opens a pathway to wellness, and that realization is something our modern society could truly benefit from. So it is all of these things I am now carrying back to my own practice, and the clients I care for as a therapist. I expect to infuse my clinical work with my ancient and traditional teachings for many years to come. Katrina Anderson is a doctoral student in the Saybrook University College of Integrative Medicine and Health Sciences and a private clinician in New York City. 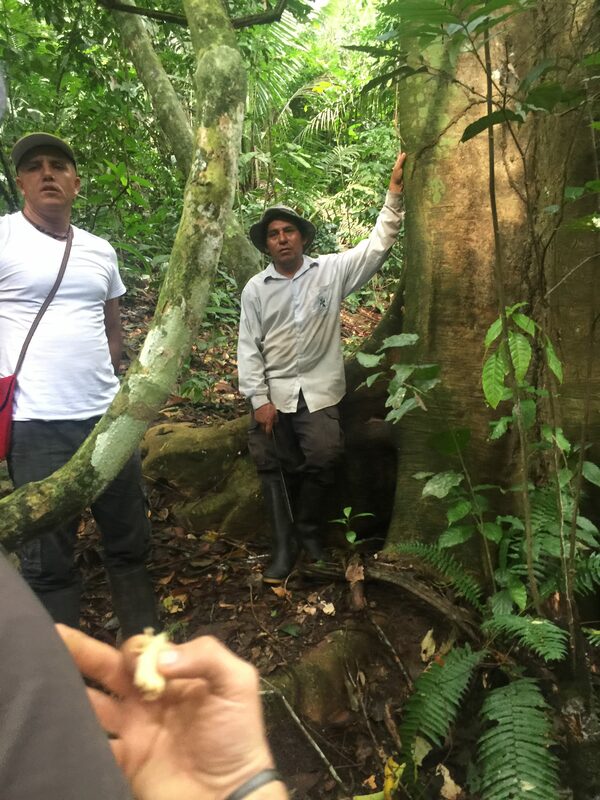 She chose to do her practicum learning about indigenous healing in the Amazon basin in hopes of integrating some of those therapies into her own big city practice.